Very nice Cessna 421A currently being reworked after right engine teardown and prop OH after prop flange issues. Aircraft is currently in shop reinstalling RT Engine and prop and extensive annual being performed. 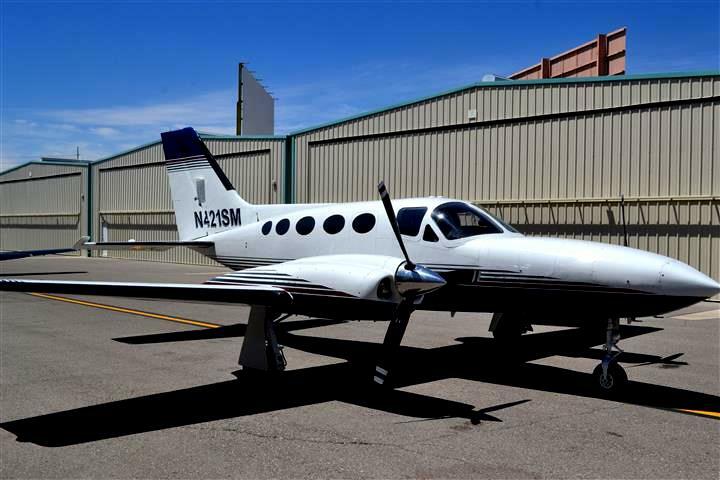 This aircraft is priced competitively for those looking to break into owning a fast pressurized twin. With 278 gallons on board, you will have a long legged twin for those long XC's at the higher flight levels. ATTENTION - We are finding that the aircraft would best be served as a project aircraft or for parts. Aircraft can have a fresh annual performed by the buyer or ferry permit submitted for delivery outside of Las Vegas. Four fuel tanks in the wing lockers. Incredible range! All due as of March 2019.